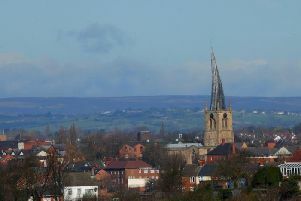 East Midlands' folk will spend less time watching TV and shopping over the Easter Bank Holiday - and they're being urged to get out and do something fun. According to a new survey commissioned by Go Ape, residents will watch around seven hours of telly, which is more than an hour less than the national average, and just over two hours in shops, 30 minutes less than average, this weekend. The survey found people in the UK typically have a whopping 50 hours of spare time over Easter to do something fun, exciting or different - as the activities they usually do when they're not at work, such as shopping, cooking, sleeping and watching TV, only take up 60 hours of the 110-hour four-day holiday. Sixty-three per cent also think Easter should be an opportunity to spend time with their kids, friends or family, as half of them struggle to do something fun with them more than once a month. Tristram Mayhew, of Go Ape, said: "Not everyone has time to go camping, trekking or beachcombing this Easter, but most of us can manage a bite-size adventure which allows us to be home in time for tea."